We report the impact of several factors on procedure times for major lung surgery for cancer, focusing on staff turnover within the surgical team. We propose a new definition of surgical team turnover which allows us to better measure team turnover as part of efforts to improve efficiency and surgical quality. We reviewed 235 lung surgeries done by 5 surgeons at our hospital, most commonly to treat lung cancer. Fig. 1. Factors Influencing Operative Times (number of patients = 235). The results show that how well the lungs work, the type of incisions (open surgery or minimally invasive key-hole surgery), and the size of the cancer all had an impact on the time it takes to do the surgery. 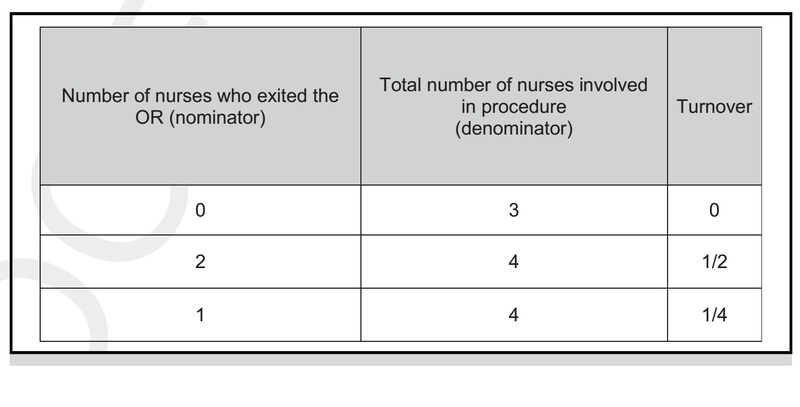 We also found that turnover of nursing staff (see Figure 2) during an operation lead to a significant increase in the time it takes to complete the surgery (up to 1 hour and 20 minutes). There are ways to decrease staff turnover and we think that paying attention to this may create opportunities for the surgical team to be more efficient in the operating room. Our results highlight the importance of exploring human factors and team dynamics in an effort to improve patient care. 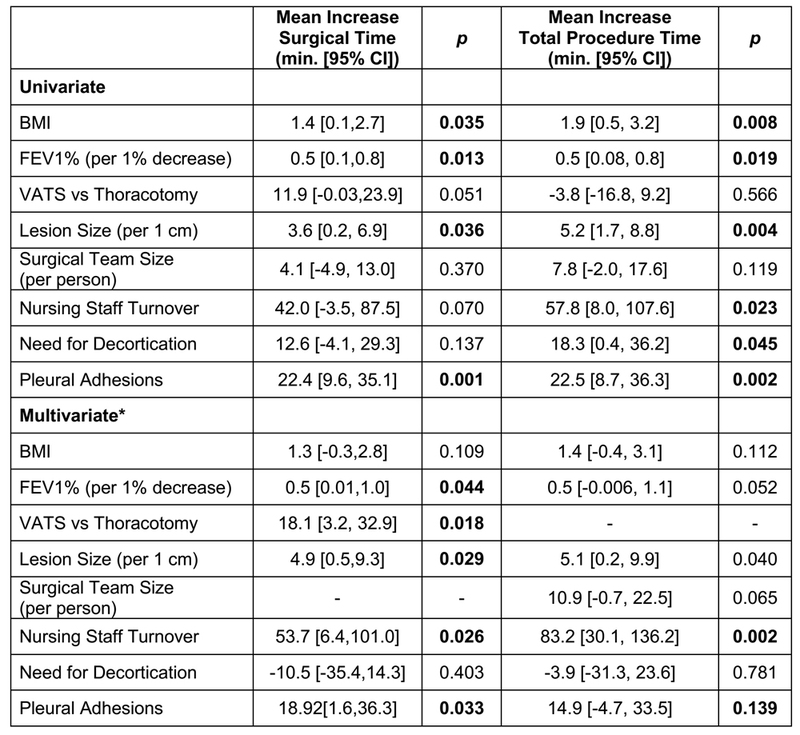 Surgical team turnover and operative time: An evaluation of operating room efficiency during pulmonary resection.